Gestical electronic heat allocators, installed on radiators, make it possible to measure the energy actually consumed in a flat. The consumption data can be read directly from the heat allocator (direct reading) or may be transmitted by radio frequency. The system is ideal for blocks of flats with a centralised heating system, especially riser-based heating systems. Use of a heat allocator together with evohome, a zoned control system, is an ideal solution for families that want to save energy and protect the environment, as heat is only supplied where it is needed. 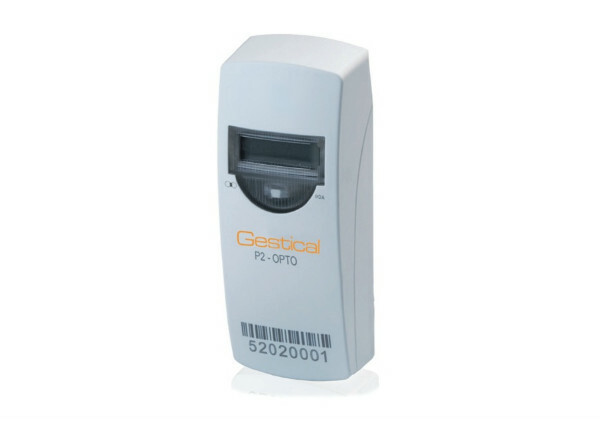 Gestical Tech is equipped with an optical interface for programming the device, an operation in which each allocator is coded with data related to the technical characteristics of the heating appliance to which it is attached. The parameters mainly concern the size of the radiator (height, length, depth), needed to determine the radiant power. Another aspect to consider is the type of radiator construction: depending on the material (cast iron, steel, aluminium) and type of construction (with heating elements, lamellar, heated towel rails, panel, etc.) the heat transmission may vary greatly. For these types of buildings, the consumption of cold water is generally only metered per building. In addition to its linear dynamics and small size, Gestical Tech houses sophisticated and complex electronics and is powered by a lithium battery expected to last ten years or more.